The European Commission is the executive body of the European Union, the one in charge of proposing legislation to the Parliament and the Council and of enforcing it, implementing decisions and ensuring the compliance with the EU treaties. In this particular sense, the Commission is responsible of taking a country before the European Court of Justice if it doesn’t comply with the European treaties and European law. The Commission is composed by one Commissioner from each country who nonetheless do not represent their country’s government, but act in a neutral way. One of the Commissioners acts as President of the Commission and is assisted by a number of Vice Presidents. 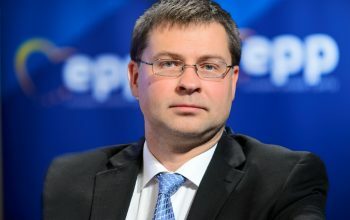 The incumbent President is Jean-Claude Juncker, who belongs to the EPP family and who was the EPP candidate for President of the European Commission in the 2014 European elections. The antecedents of the current European Commission can be traced back to the Commission of the European Economic Community, which first met in 1958. Since then, five Presidents of the Commission can be related to the EPP family. Although the EPP was not founded until 1976, the first President of the Commission Walter HALLSTEIN (CDU), Franco Maria MALFATTI (CD) and François-Xavier ORTOLI (RPR) all belonged to national parties that later joined the EPP. 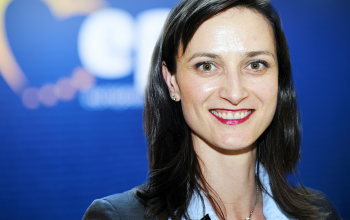 After 1976, two other EPP leaders have become President of the Commission with the full support of the party: Jacques SANTER (1995-1999), who was also President of the EPP in the 80s, and incumbent President José Manuel BARROSO (2004). 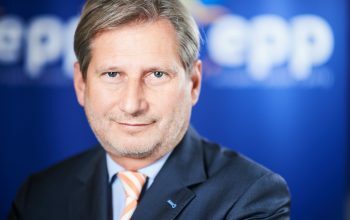 In general, the EPP has always maintained a first-class representation in the European Commission, including Commissioners like Michel BARNIER, Antonio TAJANI, Johannes HAHN (all EPP Vice Presidents), Franco FRATTINI, Benita FERRERO-WALDNER, Loyola DE PALACIO, Ján FIGEĽ and Frans ANDRIESSEN in previous Commissions. The EPP holds regular meetings with the Commissioners belonging to the political family (14 out of 28 in the current Commission) and some of them are attached to the activities of the party being EPP Vice Presidents (see previous paragraph) or chairing EPP Ministerial Meetings. The Group of the European People’s Party (EPP Group) is the largest in the European Parliament. It brings together centre and centre-right pro-European political forces from the Member States of the EU, coming together to advance the goal of a more competitive and democratic Europe, closer to its citizens, and a social market economy. The centre-right political group in the European Parliament. Le Groupe PPE rassemble les forces politiques pro-européennes du centre et du centre droit au Parlement européen. Die Fraktion der Christdemokraten im Europäischen Parlament. The European People’s Party has the largest political Group in the Committee of the Regions (CoR). Chaired by Michael SCHNEIDER (CDU-DE), the EPP Group is the CoR’s driving force in the EU decision making process. Thanks to its size, the EPP Group authors many opinions and resolutions for adoption by the Plenary, and is on the winning side of most decisions. It also holds a range of key positions within the Committee. The EPP Group aims to enhance the efficiency and influence of the CoR by representing the interests of citizens in the diverse cities, regions and municipalities across Europe. The EPP Group works towards a Europe that will uphold a prosperous and peaceful future for all its citizens. Under the motto “think globally – act locally”, it works on the principle of subsidiarity. This means that decisions should always be taken at the level closest to citizens unless a better result can be achieved by working at the national or European level. Given that approximately two-thirds of the EU legislation is implemented by local and regional authorities, the EPP Group allows them to become more involved in framing European policies. Local and regional politicians are also ideally placed to establish and maintain close links with European citizens. The new EPP Platform embraces this notion through its specific chapter on the importance of regions in economic, cultural and social terms, but also in the process of European integration.